﻿ Jeju Memory Pension, Jeju Island | FROM $50 - SAVE ON AGODA! "The staff & his family are very helpful & nice." Have a question for Jeju Memory Pension? "Super nice and helpful host, thanks for your snacks and help!" "We will definitely come again on our next trip." The rooms have sea view and a private garden. 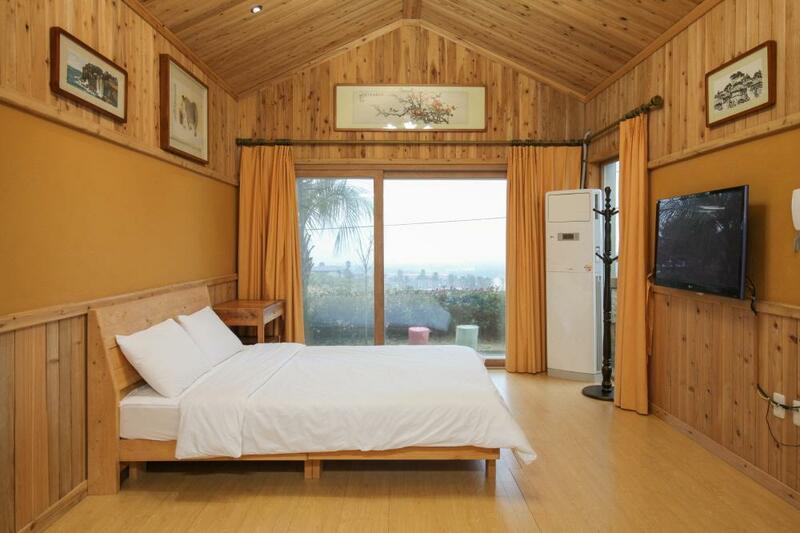 "Lovely pension surrounded with jeju oranges and lovely scene..."
Room is sooooo sweet and cozy. Quiet place. Host is very nice. I love it, and will totally staying again. The staff & his family are very helpful & nice. 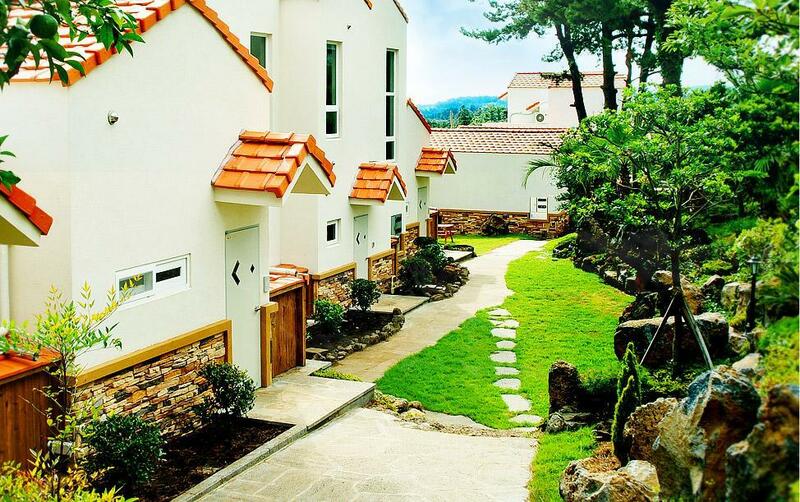 This trip in Jeju is unforgettable even the staff or the view of Memory in Jeju Pension. I feel very touched that the staff gave me a bucket of tangerine, also when I left the house that the staff chased me to give my gifts (two pairs of eyeshade in early morning. I appreciated your helpful. Thank you so much. The owner and family are very friendly. they are so helpful to help us call Taxi (cos we ant speak Korean at all) , and when it rains, they offer us raincoats and umbrella! must go to visit them! and they also gave us some cute little gift the day we left, thanks for the host! This is definitely a memory for us in Jeju! 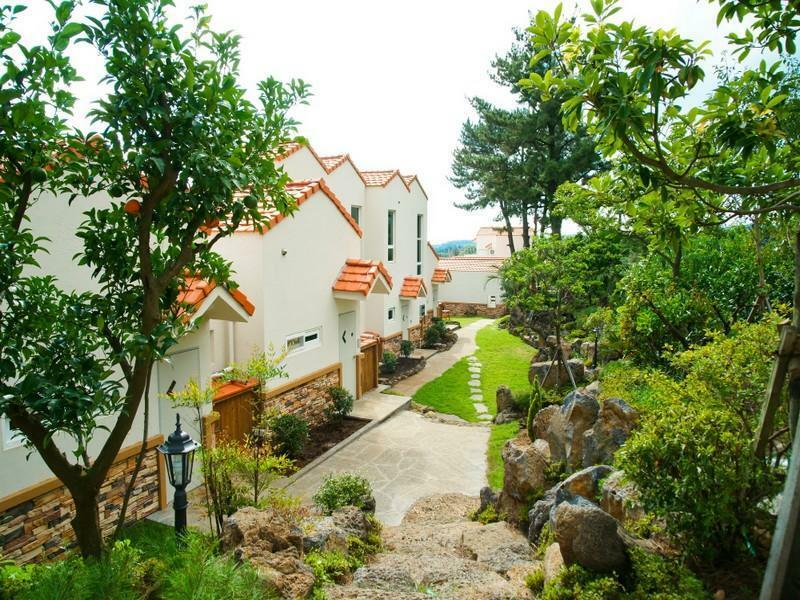 Lovely pension surrounded with jeju oranges and lovely scenery. we will definitely come again on our next trip. 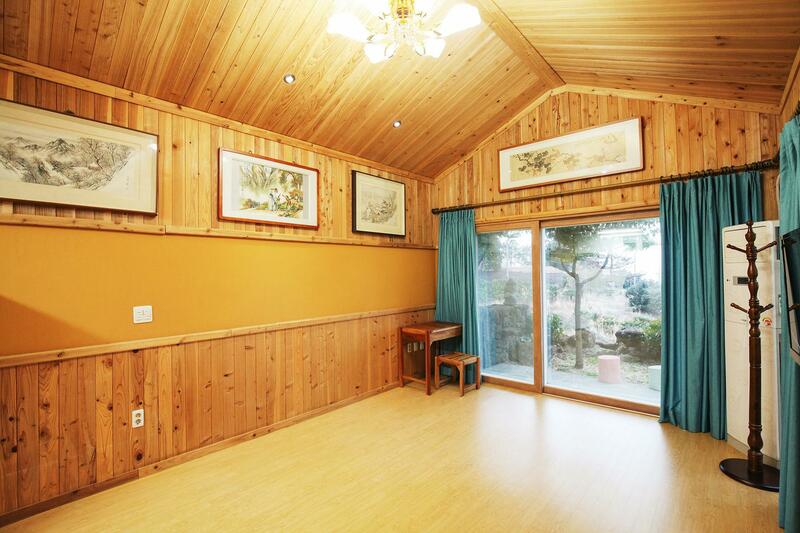 The Memory In Jeju Pension is located at the Southern part of Jeju, close to Seogwipo (15 minutes drive). It's 40 minutes drive from Jeju-si and Airport. If you plan to drive at Jeju, I would highly recommend Memory In Jeju Pension (MPJeju). You can reach almost all Jeju sight-seeing spots within 1-hour drive. The room is nicely wooden decorated and oversee ocean at a distance. Though we stayed Double-Bed Room, I would recommend Korean Style Ondol for others as the floor is fully-heated. A small kitchen is also at your disposal. You can cook with fresh Korean food bought from E-Mart (5-min drive) and Seogwipo market. The owner is living next to MPJeju. He is helpful and friendly. Talk to him and get ideas on restaurants and sight-seeing recommendations. Very friendly and nice staff , give us orange and drive us to the terminal . Very impressive and good experience. Location is not good. But the house is nice. Stayed there from 15th Oct to 17th Oct 2014. Location is good, owner of the pension will suggest ways for you to get around, call cabs for you, order delivery for you and offer advice. Very helpful local, and the you can easily go anywhere by calling a cab to bring you to the bus station which just cost about 3000 won. Be sure to ask the pension owner "Darcy" before you plan how you wanna go to your destination! This is a perfect place for family gathering or romantic getaway. very clean and quite. Staffs are friendly, and very helpful. Nice view, too. Highly recommend. it was quiet and peaceful and will be nicer if we have stayed longer. 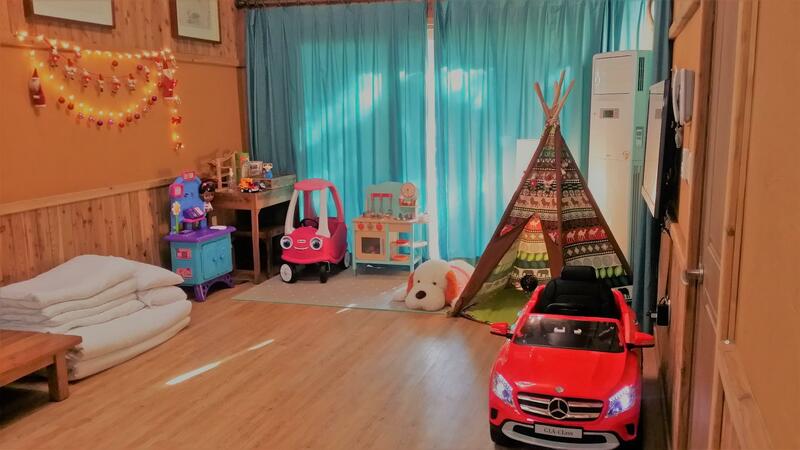 recommended for a big group or even with family as there are ample space for bbq and games. Good owner with fluent English. He can recommend you the good place worth to go and help to book the taxi. Very kind. Good view and quiet place. Far from airport and almost remote place. If you want to buy anything, you have to take taxi to the closest EMART. But good view and very quiet, a big lovely garden. very nice place to stay. the environment is relaxing. the little area outside the house is perfect for breakfast. nice decoration and with everything i need in the kitchen. just one point to improve, i couldn't find the office when i arrived. Friendly good english speaking staff. Beautiful garden and surroundings. Near to major attractions. Overall very satisfied. Great stay. Beautiful sceneries. More like a chalet rather than hotel. They only have 10 units and the reception is at the owner's house at the end of the road. We enjoyed the stay here... good for couples or travellers looking for a peaceful and quiet place to relax. The stay was extremely good except for the location which is a little deserted. You have to drive through a small and dard road to reach the Hotel. Anyhow, we enjoyed very much the stay at this hotel.